New Delhi: In a major boost to Indian science research, the Union cabinet on Wednesday approved a proposal to establish a state-of-the-art gravitational wave observatory in India in collaboration with the Laser Interferometer Gravitational-wave Observatory (LIGO) in the US. The "in principle" approval for the LIGO-India project for research on gravitational waves — a discovery that is regarded as the breakthrough of the century — is piloted by the Department of Atomic Energy and Department of Science and Technology (DST), a press release said. Confirming a major prediction of Albert Einstein's 1915 general theory of relativity, scientists including several of Indian-origin this month observed gravitational waves, or ripples in the fabric of space time, arriving at Earth from a cataclysmic event in the distant universe. Prime Minister Narendra Modi expressed his happiness over the historic detection of gravitational waves and lauded the role of Indian scientists in the project. "Historic detection of gravitational waves opens up new frontier for understanding of universe. Immensely proud that Indian scientists played an important role in this challenging quest," he tweeted. Gravitational waves carry information about their dramatic origins and about the nature of gravity that cannot be obtained from elsewhere. Physicists have concluded that the detected gravitational waves were produced during the final fraction of a second of the merger of two black holes to produce a single, more massive spinning black hole. This collision of two black holes had been predicted but never observed. 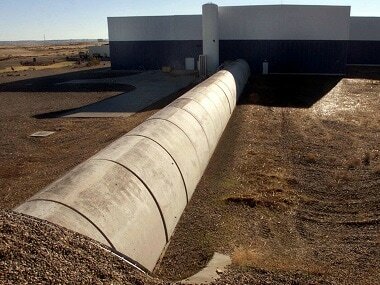 The twin LIGO detectors are located in Livingston, Louisiana, and Hanford, Washington. The LIGO observatories are funded by the US National Science Foundation (NSF), and were conceived, built and are operated by Caltech and MIT.